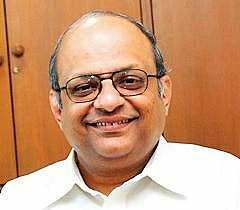 N Srinivasan, group director, finance at Murugappa Group, has been elevated as executive vice-chairman and managing director at Cholamandalam Investment and Finance Company, a group firm. CHENNAI: N Srinivasan, group director, finance at Murugappa Group, has been elevated as executive vice-chairman and managing director at Cholamandalam Investment and Finance Company, a group firm. Srinivasan’s appointment will be with effect from August 19, 2017 for a period of two years in place of Vellayan Subbiah, a company statement said on Friday. Srinivasan was inducted in the Murugappa Group Corporate Board as director-finance in January 2007. He was later involved in the financial service business of Cholamandalam Investment and Finance Company and Chola MS General Insurance Company as ‘Lead Director’. Meanwhile, the Board of Cholamandalam Investment and Finance Company also appointed Arun Alagappan as executive director with effect from August 19, 2017. The appointment is for a period of five years and is subject to necessary approvals.